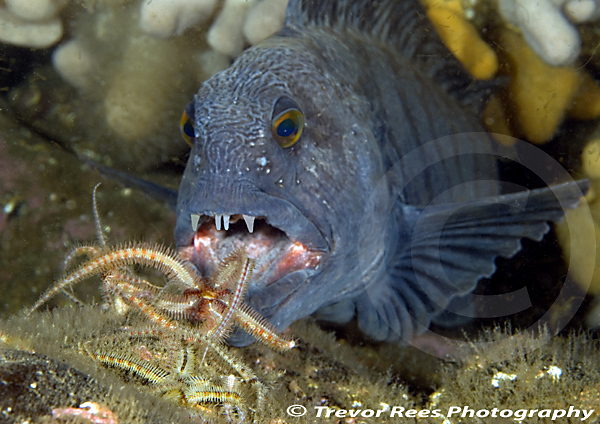 My image of a wolf-fish (Anarhicas lupus) from St Abbs is included in the British Wildlife Photography Awards (BWPA) 2012 official book. A wolf-fish (Anarhicas lupus) from the cooler waters of the NE coast. This image is included in the British Wildlife Photography Awards (BWPA) 2012 official book in the Coast and Marine category. A pleasing result to have this one included amongst so many superb British wildlife shots.